Alex Nemec has been shaping the underground electronic music scene for years. What began in 1998 with DJing in Slovenia’s best clubs, became an ever expanding career that includes producing as one half of Alex & Filip, running Mirabilis Records, globally DJing, and now starting his own solo production project. The music runs deep within him and can be felt in his fresh and forward thinking blend of techno, deep house, and progressive. 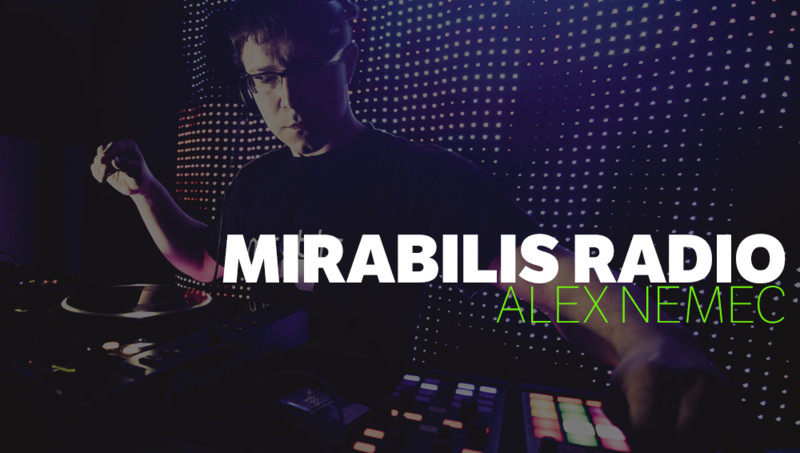 His FRISKY Artist of the Week set showcases the variety of deep, dark vibes that he creates, and gives us an idea of what to expect on Mirabilis Radio. We can also expect to hear some exclusive premieres of what’s coming up next for the label, and with an artist roster that includes Paolo Mojo, Ian O’Donovan, Cid Inc, Facundo Mohrr, Kastis Torrau & Donatello, and many other talented producers, it’s sure to be something special. Don’t miss out: Mirabilis Radio premieres on January 18th @ 5PM EST [convert timezone] or listen on-demand after with FRISKY Premium. 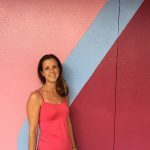 What is new & exciting in your world? Hi there! 2018 marks a fresh start for Mirabilis Radio moving to Frisky and as this has been in the making I also took some time off from music making and evaluating my music world for a bit. I actually haven’t been in the studio for the last four months or so. I have spent most of the time working on my day job, running a family business with my wife and have fallen in love with road cycling so did quite a few miles last year. 2017 have been a good year for me. I had a few good releases with my mate Forniva on LowBit, MNL and Bonzai among others, have remixed prog legends Pako & Frederik for Astir with Nik Feral and signed some more upcoming tracks on Dale Middleton’s Tarnished and Low Bit too. I have decided to go back to the way it all started for me in making music. Dropping all samples and starting creating my own sounds – from the scratch, it takes more time to complete the tracks but give so much more satisfaction. Beside this I spend a lot of my time with my family, my lovely wife and two beautiful girls. What have been some of your highlight music moments in your career? On this topic I’d say a highlight was definitely remixing Dave Seaman back in 2010 I believe. Doing for Kathisma nights in Italy is always something special too, for well over a decade now. I know the boys since they were starting out and consider them not just friends, but family. So in case you are on vacation in north-east Italy over the summer – pop to their Kathisma terrace at Kursaal in Lignano! What was your mission with starting Mirabilis, and how does that continue today? Me & Filip started Mirabilis as a passion project and to release the music we love, no genre limits. When me & Filip split up to follow our own paths, I kept running Mirabilis alone. It ain’t easy, but I try to give a platform for the artists that grab my ears. I tend not to look only for bigger and established names, but also the up and coming talents. For me it’s not about the money, but about pushing good music. Could you name a few of your favorite Mirabilis releases? We are over a hundred releases now and for me all are special. I have played the all out in my sets obviously, but Ran Shani’s “Classics” is the one that put our label on the map as it has been dropped by Sasha at WMC in 2010 and the next day quite a few top DJs were asking me for promos of it, but besides this it really is magic to me. Dibby Dougherty & David Young’s “Hydra Island” was a dope one too, not only the original but all the mixes. Donatello’s “Traffic” was dope too with it’s rolling piano riff. Counting my own stuff, I’d say Alex & Filip “Careless” still sounds fresh and lately mine & Forniva remix for Bowsie “Sinking Feeling” is one of the best we’ve done so far too! How about favorite tracks of all time? Bent “Always” Ashley Beedle remix is one of my faves of all time. What are you most passionate about in music these days? I love to DJ, and rocking a packed small club, full of people that are open minded about the music is priceless. And yes, I’d rather DJ in small clubs than large festivals, I find it more intimate and I can have more interaction with the crowd. I have always been a DJ first, and as much I love making music, doing will still be my first love. What can listeners expect to hear on Mirabilis Radio? With the move to Frisky Radio, the show will be only an hour long, with just me in controls for now focusing on presenting you my favourite tunes. You can expect a roller coaster from deep house, prog, techno and all in between and of course tons of exclusive Mirabilis premieres! I hope you will all enjoy it!